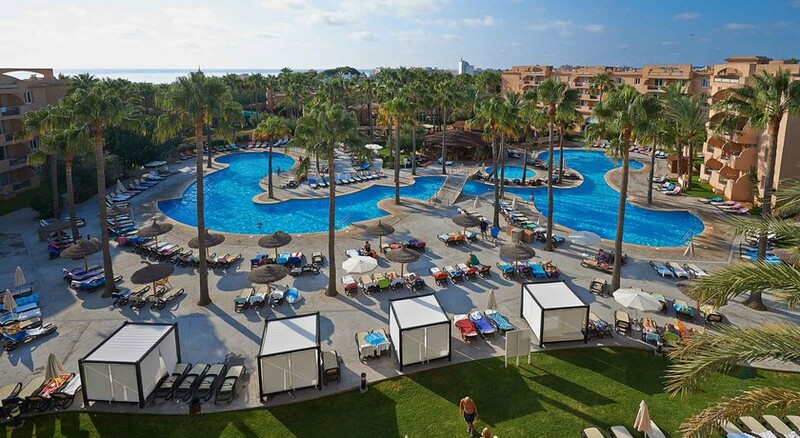 On the scenic Cala Bona beach of Majorca, Protur Bonaire Aparthotel is a 4-star family-friendly hotel that provides ultimate luxury and warm hospitality to it’s a guests. Located just off 200 m from the harbour, and close to shops, restaurants and other attractions, this aparthotel has 198 one bedroom apartments offer a comfortable stay with its facility-packed hospitality. 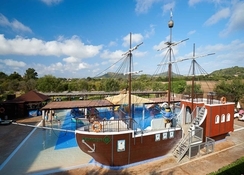 The children are going to love the Proty's Pirate Ship moored in a pool and its fun-packed slides and rides. The scenic beach of Costa de Los Pinos is just 1.5 km away. Explore the fabulous sand nd gravel beaches and warm turquoise waters of Majorca, with abundant sunshine and a cheerful vibe. The harbour at Cala Bona is also home to diving school Albatros where you can snap a pair of flippers and dive to your heart’s content. 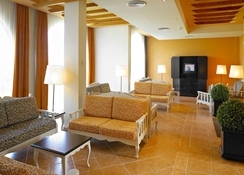 Overall, a nice and comfortable hotel to enjoy some quality time in sand and sun. 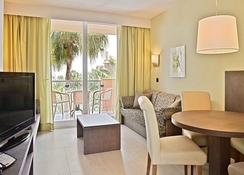 Protur Bonaire Aparthotel is located in the resort of Cala Bona, Majorca. Away from the hustle and bustle, this is situated near a quiet neighbourhood next to the harbour but not very far from all the attractions of Cala Bona. The nearest airport is at Palma de Mallorca, about 69 km away. 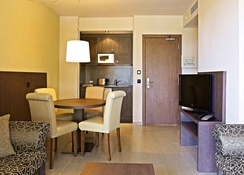 The apartment complex has 196 fully air-conditioned apartments set amidst beautifully manicured gardens. 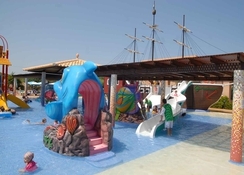 These apartment blocks have several lounges, a restaurant, hairdressing salon, lounge bar, playground and mini club. The air-conditioned guestrooms come with en suite bathroom, hairdryer, balcony, direct dial telephone, satellite/cable TV, safe, central heating, living room and kitchenette with microwave. The hotel’s main restaurant serves all major meals in buffet style. It also has show cooking with wok for a fun-filled dining experience. The buffet is overwhelmingly international, but friendly to British palates and has a smattering of Majorcan local specialty dishes. There is also an ala carte Italian theme restaurant Rimni. Guests at the pool can enjoy snacks and drinks from the pool bar. Protur Bonaire Aparthotel has a large outdoor pool equipped with a large number of comfortable loungers and sun-chairs in beautiful landscaped gardens. These look inviting to sunbathers to tan in the Majorcan sun. A heated pool with jacuzzi is there for the guests to soak in the cooler months of the year. An outdoor heated swimming pool, hot tub, gym and sauna are the other attractions.